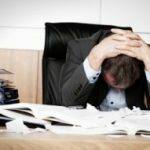 How Do I Reduce Stress At Work? 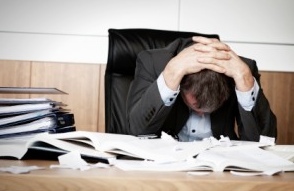 Whether you’re facing a big deadline or working on a major project, work can be stressful. If you’re feeling overwhelmed or stressed to the max, it may be time to step back and take a breather. Deep breathing is one of the most effective ways to relieve stress and anxiety. But to be really effective, you have to learn to breathe through your diaphragm (or your belly). PsychCentral has some really great tips on how to master the art of deep breathing. When stress becomes overwhelming, stepping away can help you relax, refocus and see things from a new perspective. Take a walk outside, and get some fresh air. Being outdoors automatically reduces stress and offers numerous other benefits too. Set aside five or ten minutes to meditate at your desk – or wherever you want. Focus on your breath and quiet your mind. Sometimes, we don’t realize how “loud” our minds can be until we sit down and meditate. That constant “chatter” in the mind can contribute to stress and make it difficult to stay productive. Meditating for just a few minutes can help you regain focus on the task at hand. Get into a relaxed position, either sitting up or lying down. Take a moment to be mindful of any tension or tightness in the body, and relax that tension. Being mindful of your body can go a long way in relieving some of the physical aspects of stress that can be overwhelming. Music has the power to relieve stress and improve your mood. Bring your earbuds to work and listen to your favorite tunes throughout the day. Like music, aromatherapy can also relieve stress and make you feel good. Keep a few bottles of essential oils at your desk to help you relax when things get overwhelming. Stress not only affects your productivity, but your creativity, mood and just about every other aspect of your well-being. If you find yourself feeling overwhelmed, take a moment to breathe, relax and practice one of the tips above. If you are looking for a job that may be a better fit for you, contact the staff at Employment Solutions today. Our staffing agency in Denver, CO is here to match the right people to the right jobs. Call today at (877) 880-4473.